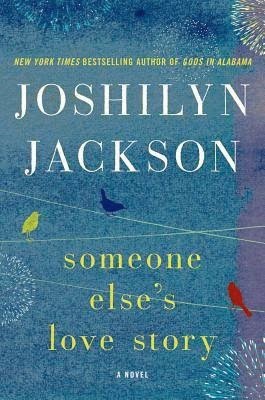 Joshilyn Jackson is an automatic read for me - I'll read anything she puts out, regardless. So I was thrilled to receive a copy of her latest, Someone Else's Love Story, for review. It's the story of Shandi, a young single mother who finds herself taken hostage in a convenience store with her son. The handsome William Ashe steps between the robber and her son, and Shandi falls head over heels for her rescuer. William is struggling with his own past, but finds himself opening up to Shandi and her young son, as both of them come to terms with their histories and discovering who they are as a result of their pasts. Well done, as always. I really admire the way that Jackson is able to blend aspects of faith into her fiction, without writing anything preachy or trite. She also captures the South beautifully, as she does in all of her other books. This one is as thoughtfully written as her others - and is funny and charming to boot. As much as I enjoyed and appreciated the writing in this one, I wasn't as drawn into the story as I have been with her others. While I'm usually totally wrapped up in Jackson's characters, I had a harder time connecting to Shandi. I liked William more, but I just wasn't captivated by him either. It's a great read, but not my favorite by Jackson. If you're a fan of Southern fiction, or if you're a fan of the author's, you'll definitely want to read this one. 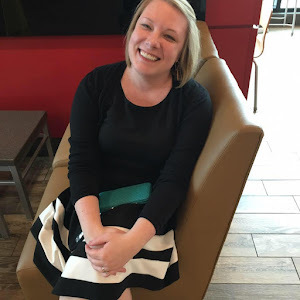 But if you're new to the author or genre, I might recommend that you start with A Grown Up Kind of Pretty or Between, Georgia instead. Thank you to William Morrow for providing me a copy to review. I bought this book after returning a copy to the library. I love Joshilyn Jackson's books, and this one did not disappoint! I love the characters and how the story came full circle. A must read!